Body-pleasing power recline makes this a chair you'll love to spend a lot of time in - and now you can do it while connected to your devices with a built-in USB charging port. It boasts a sophisticated yet relaxed look in gray performance fabric. The special fabric blend gives you the smooth, supple feel of leather without having to worry about the scratching or peeling associated with high end leathers or leather blends. The Broadway Power Recliner by Violino at Red Knot in the Oahu, Honolulu, Kapolei, Pearlridge, Salt Lake, Hawaii area. Product availability may vary. Contact us for the most current availability on this product. Even a smaller scale living room can boast big style with this sleek, power reclining group. 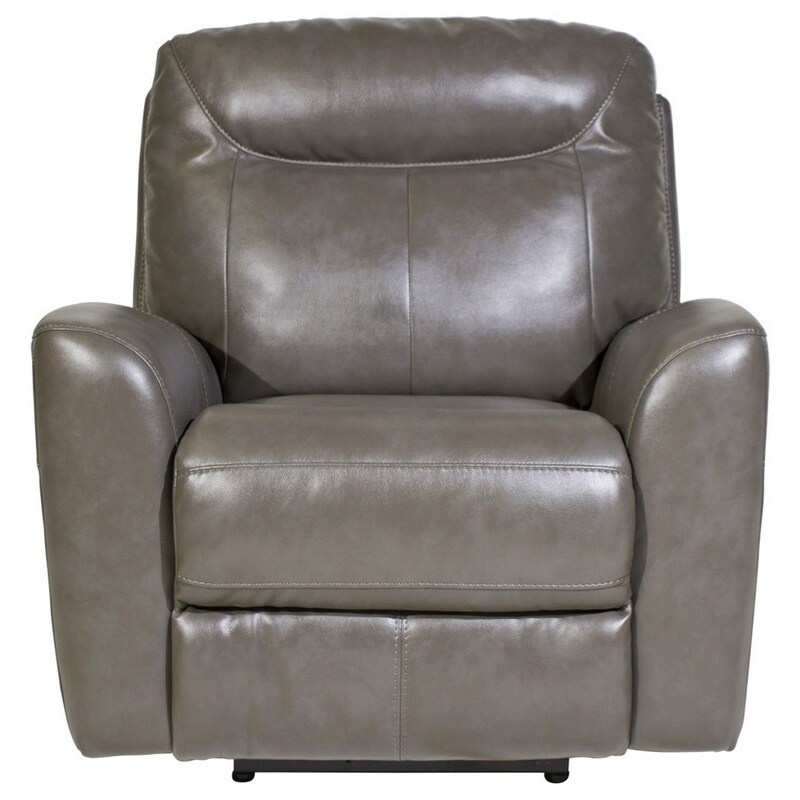 These modestly sized pieces all feature power recline, built-in USB ports, and a gorgeous upholstery cover of gray faux leather. The leather-like cover is a breathable performance fabric, so it doesn't trap heat like leather or scratch and peel like leather blends. The Broadway collection is a great option if you are looking for Casual furniture in the Oahu, Honolulu, Kapolei, Pearlridge, Salt Lake, Hawaii area. Browse other items in the Broadway collection from Red Knot in the Oahu, Honolulu, Kapolei, Pearlridge, Salt Lake, Hawaii area.